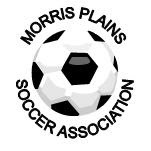 The Morris Plains Soccer Association encourages all to participate in a food drive benefiting the Inter-Faith Food Pantry. The Food Pantry is dedicated to helping feed almost 1,500 low-income families in the Morristown/Morris Plains area. The drive will be held during the regular soccer game hours [ 9:00 a.m. – 1:30 p.m. ], and items can be dropped off at the snack bar area at Simons Park. Please take a moment on your way to the field on Saturday,Novemeber 5th to support those in need within our community by remembering a food item to donate.